Generation Veggie is an online community and 501(c)(3) nonprofit organization for the modern family. 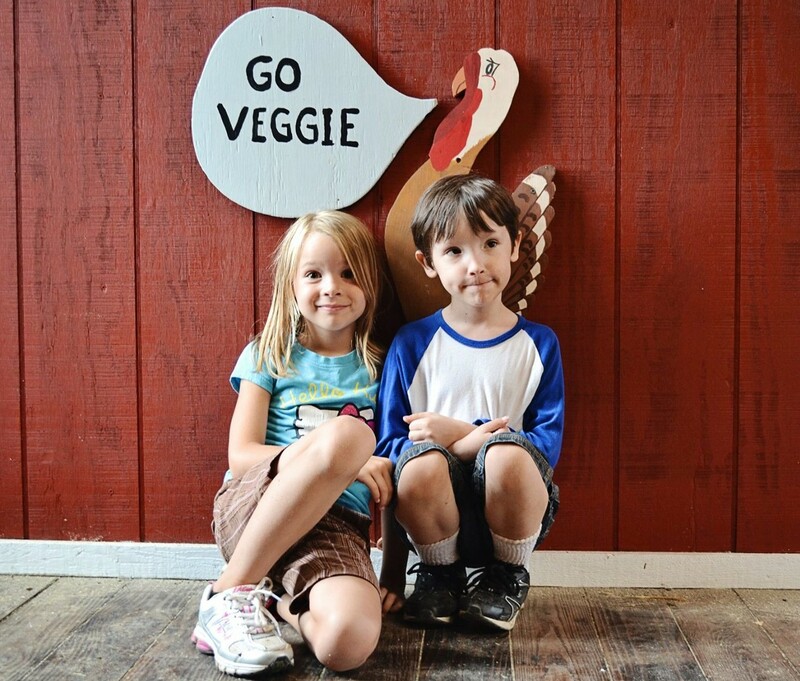 Our mission is to support vegan and vegetarian families by providing information, resources, community, and inspiration to help them raise plant-powered, kindhearted kids. We hope you will explore our articles, check out our recipes, get some nutrition information, brush up on the issues, visit our shop, join our Facebook community, and subscribe to our e-news. If you want to share your voice, please consider becoming a contributor. Generation Veggie is for anyone who is raising plant-powered, kindhearted kids or who is curious about learning more. If you have been vegan since before anyone even knew how to pronounce the word, you are welcome here. If you are a vegetarian family, you are welcome here. If you are a mixed veg/omni family, you are welcome here. If you are new to vegetarianism or veganism and are transitioning your family, you are welcome here. If you are the grandparent of a vegan kid trying to understand what it’s all about, you are welcome here. We are not an exclusive club. We are a community of families coming together to make the world kinder. Generation Veggie is an organization whose time has come. As the vegetarian and vegan populations in the United States have grown, so has the number of veggie families. Raising children to respect and to show kindness toward animals, the environment, and other people is an important job. Veggie parents are spreading the ideals of animal rights, cultivating compassion, and creating more vegans and vegetarians in the world. We think this is important work, and we are honored to do it with you. We are a volunteer-run organization and greatly appreciate tax-deductible donations in support of our work. Please consider making a donation to help us do more for families raising compassionate kids.